of music is in such transition that the pinnacle is no longer being on top with a No. 1 song, or a best-selling CD, but staying there once you arrive. 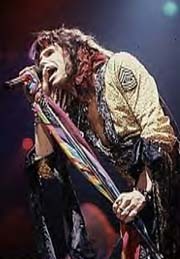 Only a few acts have been able to stay on top of the business for that entire period, and the hottest of them right now has to be Aerosmith. They received the International Artist Award at the American Music Awards on January 8, becoming only the fifth act to receive that award in AMA's 28-year history. They performed at the Halftime Show of Super Bowl XXXV in Tampa, appearing on stage with some of today's hottest performers (many of whom weren't even alive when Aerosmith hit the music scene). Then on March 19, they were inducted into the Rock & Roll Hall of Fame. And there's still another nine months to go in this year. 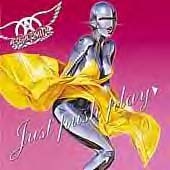 Riding on the crest of their latest wave of success, Aerosmith has also released its first studio album in four years, entitled "Just Push Play." In many ways, it's a classic Aerosmith CD, but in other ways it's not. Aerosmith has the rare ability to change with the times and trends but still stay true to their music, and it's easy to see on this CD. Aerosmith themselves. And, if you're looking for the next in the long line of catchy, meaningless tunes, the title track is just that. The bottom line is this: To hell with analyzing the music. Go to the store, by the CD, and do what it says on the front cover: Just Push Play.